In addition to those drafted and signed by the club, the Los Angeles Kings are prepared to welcome a handful of additional prospects to rookie camp, team sources have confirmed with LA Kings Insider. Those expected to participate include Quentin Shore – a younger brother of Los Angeles center Nick Shore – as well as fellow forwards Justin Gutierrez, Shane McColgan, Alex Barre-Boulet, Matt Luff and Kameron Kielly, and goaltenders Jonah Imoo and Brody Wilms. Forwards Sam Herr and Miles Koules and goaltender Jack Flinn are also expected to attend rookie camp on AHL contracts. Some of the boldfaced names amongst the group are Gutierrez and Luff, both of whom took part in development camp (though Luff didn’t participate late in camp due to a rolled ankle suffered during off-ice workouts). Similar to defensive prospect Damir Sharipzyanov, who left an impression during development camp in 2015 and was signed to an entry-level contract last August, Gutierrez and Luff are two players to keep tabs on as they strive to earn their own professional contracts. The 6-foot-4, 205-pound Gutierrez completed his WHL career with a 22-goal, 49-point season in 46 games with Lethbridge last season, while the 6-foot-2, 183-pound Luff posted 27 goals and 57 points during his 18-year-old season for Hamilton. He’ll return to the OHL this coming season. Another interesting name is Shane McColgan, a former L.A. Junior King and Manhattan Beach native who was a highly touted prospect entering junior hockey but lost footing late in his junior career and is yet to make an impact professionally. 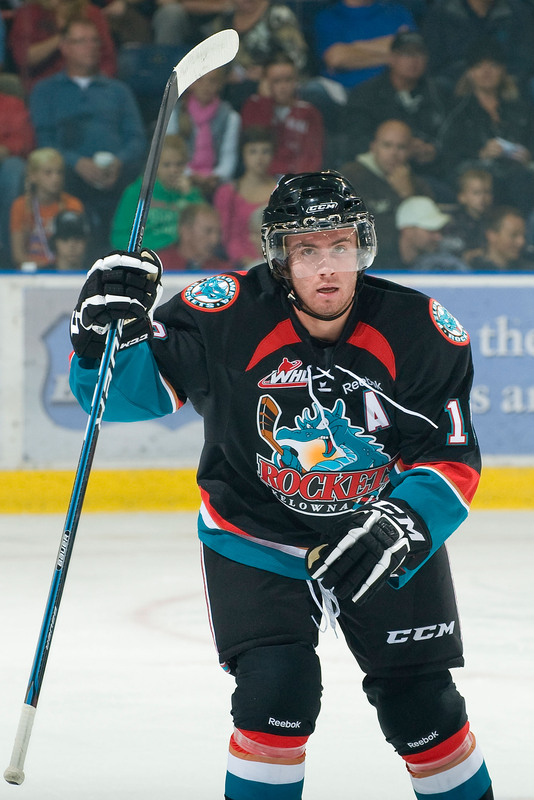 A first round draft pick of the Kelowna Rockets, McColgan’s remarkable 69 points in his 2009-10 rookie season led all WHL 16-year-olds that year (including Ryan Nugent-Hopkins’ 65 points), surpassed the 65 points recorded by 17-year-old Emerson Etem and tied the 69 points produced by 17-year-old Ryan Johansen. Nugent-Hopkins (a former first overall NHL pick), Etem and Johansen were all first round draft picks, while McColgan was selected in the fifth round by the New York Rangers in 2011 but never signed with the club. After establishing himself as a 64-to-69-point player in his first four WHL seasons, McColgan ultimately split time between the WHL and the BCHL in his 20-year-old season before playing Canadian college hockey at St. Thomas University for the last two seasons. 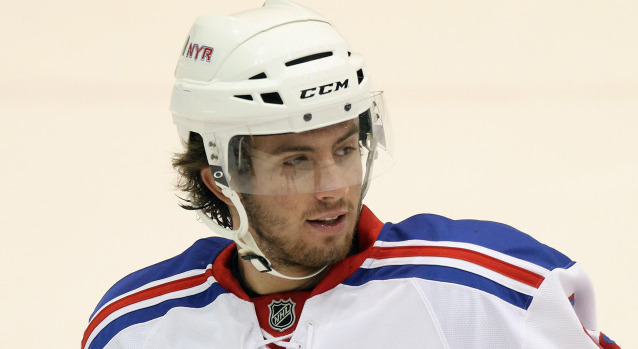 He appeared in five games with AHL-Connecticut (now AHL-Hartford) as an 18-year-old on a tryout at the end of the 2011-12 season and was held scoreless. 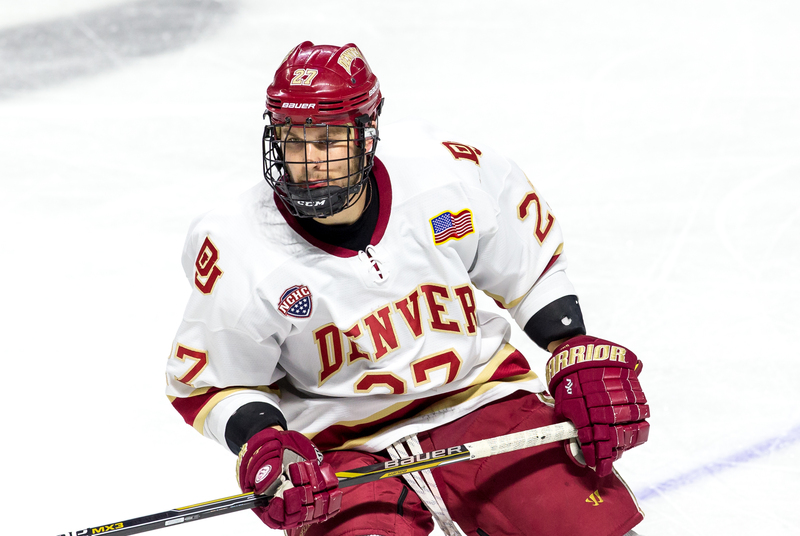 Quentin Shore, a sixth round draft pick by Ottawa in 2013 who did not sign with the Senators this summer, is a 6-foot-2, 183-pound forward who capped his 40-goal, 98-point four-year career at the University of Denver by scoring a career-high 13 times in 2015-16 and earning a place on the NCHC’s All-Academic Team. He’s a U.S. National Team Development Program alum who posted 45 points in 112 games with the program from 2010-12 and represented the United States at the 2014 World Junior Championship, the 2012 World U-18 Championship (where he won gold) and the 2011 World U-17 Hockey Challenge (where he won silver). Like his older brother, he’s a two-way player and a good faceoff guy who plays a “smart, reliable game from the center position,” according to Chris Dilks of SB Nation’s College Hockey blog. The Shore brothers definitely have a robust rivalry. Growing up, they would play street hockey for hours in their cul-de-sac, with one of them the designated goalie and the others firing shots on him. It always ended up the same way — someone in tears and usually a little bloody. Goaltender Jonah Imoo, son of Los Angeles Goaltender Development Dusty Imoo, will also take part in rookie camp after attending development camp in July. A full list of players who will take part in rookie camp will be released in September. Many of those participating will travel to Gila River Arena in Glendale for games against Coyotes rookies on September 20 and 21. Rookie camp participants are always subject to change.